Well, we went for it again. 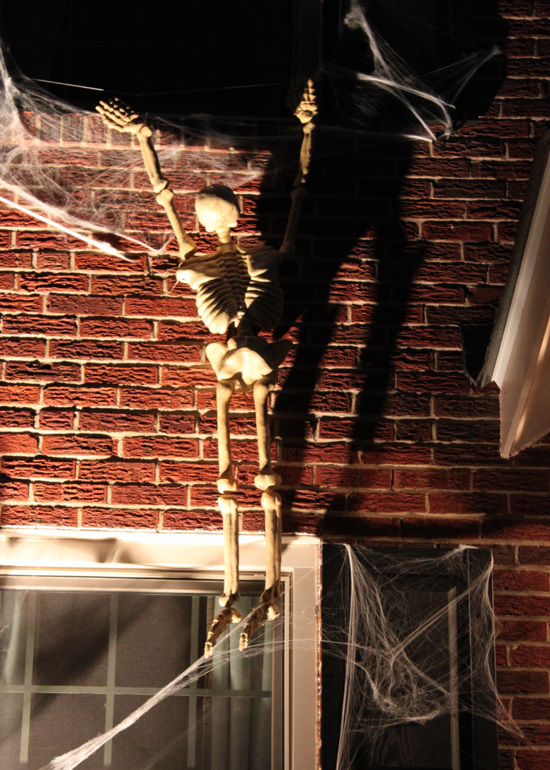 Yes, skeletons are once again scaling the walls of our house. 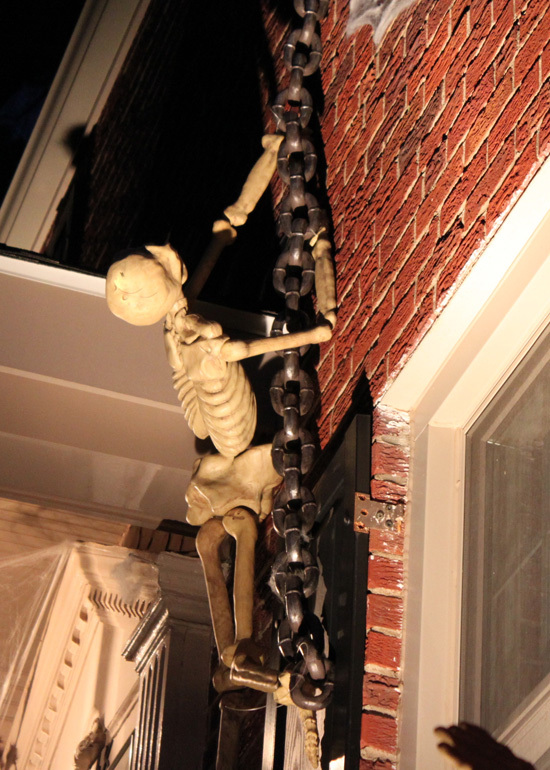 We did the same thing last year (read about it here), but we changed it up a little with a new organization of skeletons. Thanks to the tripod, I took some fun night shots. Notice the creepy spider. Elizabeth lovingly picked that out at Safeway when she was about 2 years old. She wanted to take it with her into her crib but I convinced her to leave it in the Halloween box. 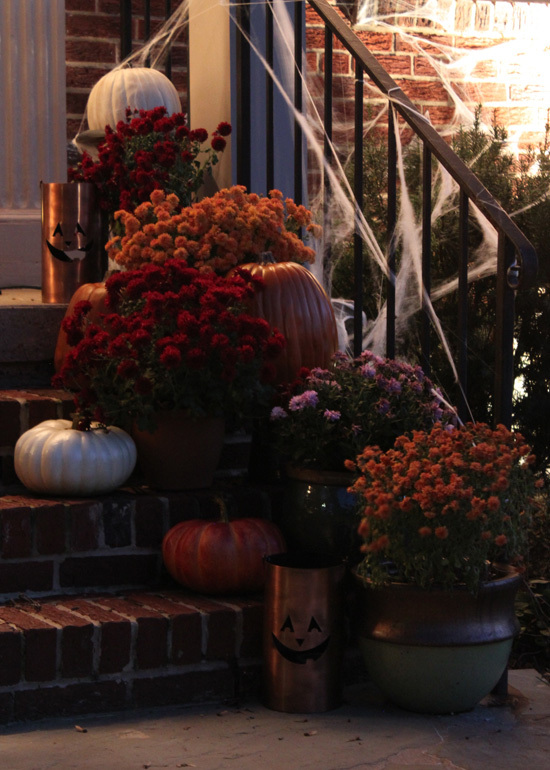 I also updated the front porch mum/pumpkin combo with some copper jack-o-lanterns. I think I bought these at Michael's but it was a long time ago now. 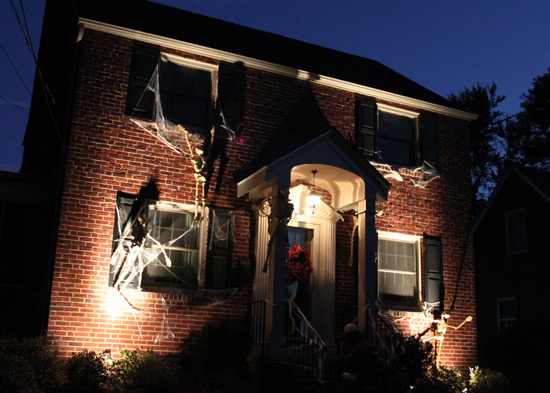 We added some uplighting to make it even spookier at night. Halloween is all about night time, right? Of course the kids loved helping with the spider webs. my advice is a little goes a long way and you should stretch it as thin as you can so you don't get big clumps. 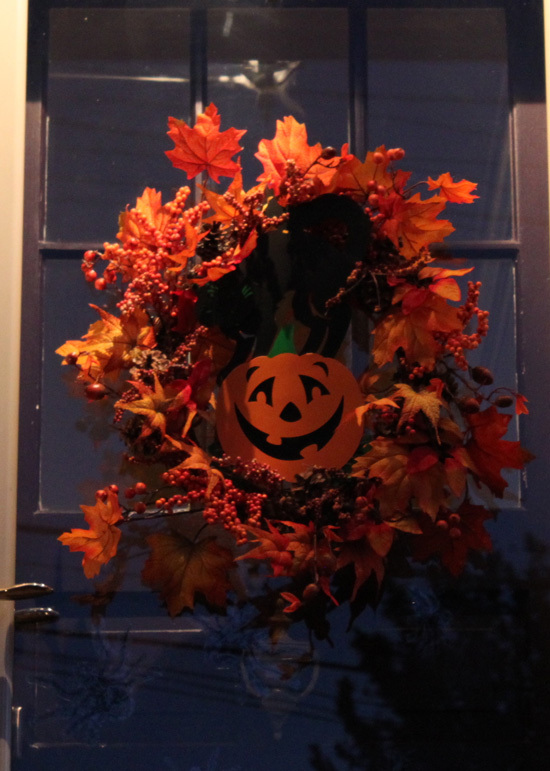 I also gave my little fall wreath a Halloween update with a $2 thrift store Halloween decoration. 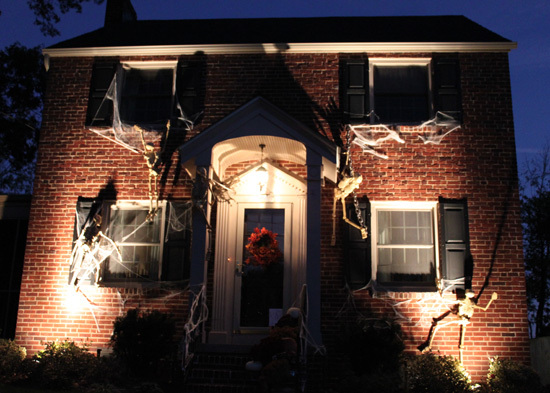 You can also see the Martha Stewart spiders the kids added to the door. 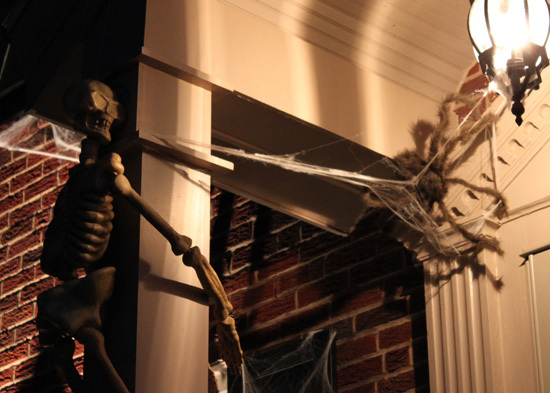 After the "installation," my 2 year old Alex ran around the house screaming "scary spiders on door" while laughing hysterically. I'm going to look for some skulls for next year's display during the Halloween clearance sales. If anyone spots a good deal, please let me know! !